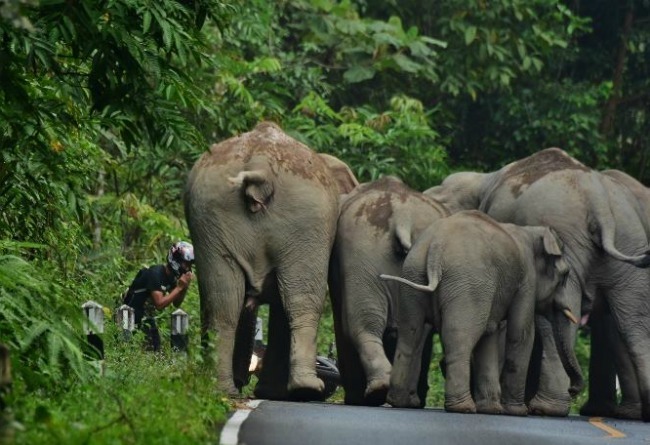 A herd of elephants in Khao Yai National Park in Thailand chased a biker off their lands, because they were sick of noisy tourists. 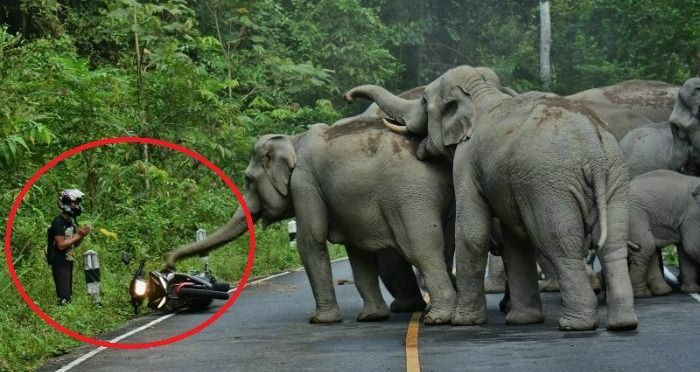 Before you start feeling bad for the biker, here's the deal. WHAT was he doing riding a loud bike inside a national park? Especially a park where elephants have been known to retaliate angrily in the past? Earlier this year, in January, enraged at the constant trail of cars on their territory, an enraged elephant scared off tourists in style - by sitting on car bonnets. Which part of this intense display of anger could leave anybody in confusion? They don't want you in their house, the same way you wouldn't want them in yours.